What 60 years of economic blight followed by two tornadoes in a single day nearly destroyed, started coming back to life as a sketch on a napkin. That’s when newly-elected Cordova Mayor Drew Gilbert saw the design for a corner grocery store that would become the cornerstone of a rejuvenated community. His time at that Mayors Design Summit, presented by DesignAlabama, introduced him not only to innovative ideas in urban planning, landscape architecture and other disciplines, but to a different way of thinking and a new way to connect people in a community—one that continues to influence his decisions today. Soon, the city will convert a 17-acre overgrown lot in the middle of Cordova into a public park. From there, the vision provided by DesignAlabama will serve as the catalyst for further development. Drew’s ancestors worked hard to build a community. Now he’s helping to give it a fresh new start and leave a legacy for his children and future generations. DesignAlabama was founded in 1987 under the wing of the Alabama State Council on the Arts. The organization has since developed initiatives to bring awareness to design professions that help shape how we live as well as the environment we live in. The design arts supported include a range of interconnected fields including architecture, engineering, graphic design, industrial design, interior design, landscape architecture and urban design. Some of our most impactful initiatives have been our Mayors Design Summits. In these day-long workshops, civic leaders work with designers and planners to excavate ideas that will help make their communities desirable, profitable and livable. 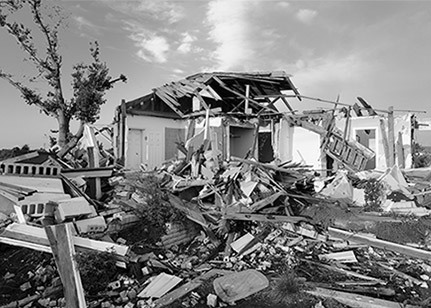 We even tackle important design problem-solving such as rebuilding after a natural disaster. DesignAlabama creates educational publications and content to inform civic leaders and the general public of design processes and why design is a critical factor in using resources effectively. We share case studies from Alabama designers to highlight successful creative work being done across our state. DesignAlabama is the state’s only organization promoting design improvement in our communities that also encourages working with the talented designers from across the state of Alabama. We are fortunate to have many skilled designers here who understand the terrain, our diverse culture, our history and the needs of our communities.Alabama has a stronger future if we employ good design thinking, planning and processes. We can strengthen our economy, quality of life and perhaps most importantly—inspire the next generation of Alabama design professionals. Design is the foundational plan in everything that is built, manufactured or created. It is relevant to all of us. We believe design can have a significant impact on our life experiences. We all benefit from the planning and problem-solving design fosters in everything from a roadway system to a toothbrush. It can determine how economic revenue flows through a community and how accessible communities are to one another. It also makes products more useful and spaces more inhabitable, while helping us communicate better with one another.